If so, be prepared for an amazing weekend filled with entertainment, special guests, workshops, great experiences and meet up with new friends who share your passion! You can also sign up for the Fantastic Stories Competition? If you write comics story and want to participate in the competition, then submit the story, in Dutch or English, Protected content max., centering around the theme 'Heroes'. 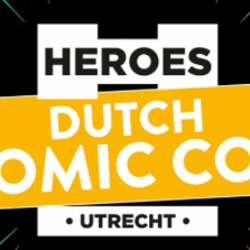 Win free entrance to the Heroes Dutch Comic Con, five copies of the final book printed on Betty the Book Machine and a €75,- book certificate from the ABC. Submit your story before February 15th Protected content .